Set of 8 seamless black and white medieval patterns. 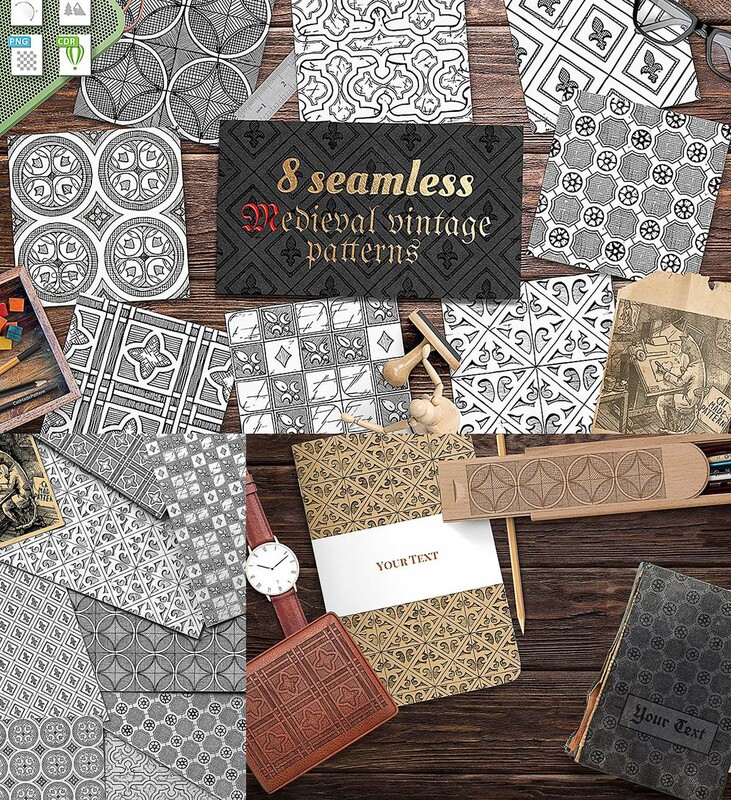 Those patterns are just great to create ancient vintage look of your products. File format: .ai, .cdr, .png, .eps for Photoshop or other software. Tags: Antique, baroque, engraving, medievel, seamless pattern, textile, vintage pattern.